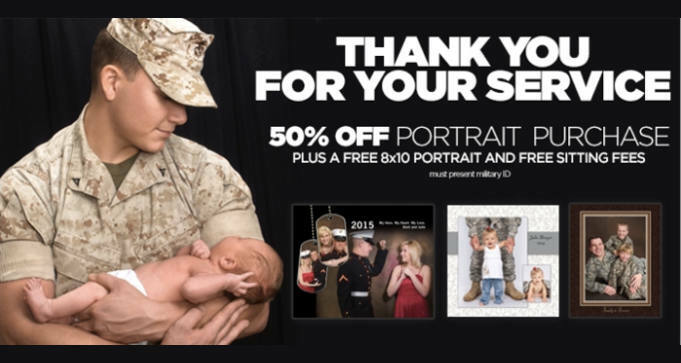 To get a FREE 8×10 Portrait for Military at JCPenney, print or present this coupon on your mobile phone to the studio associate. There’s NO session fees plus 50% off additional purchases. See coupon for details. Please present Military ID at the beginning of your session to redeem offer. Valid through 6/30/18.